Falmouth Academy sent 15 top projects from its 29th Science Fair to the South Shore Regional Science Fair held at Bridgewater State College on March 11. Nine of the 15 projects earned awards. 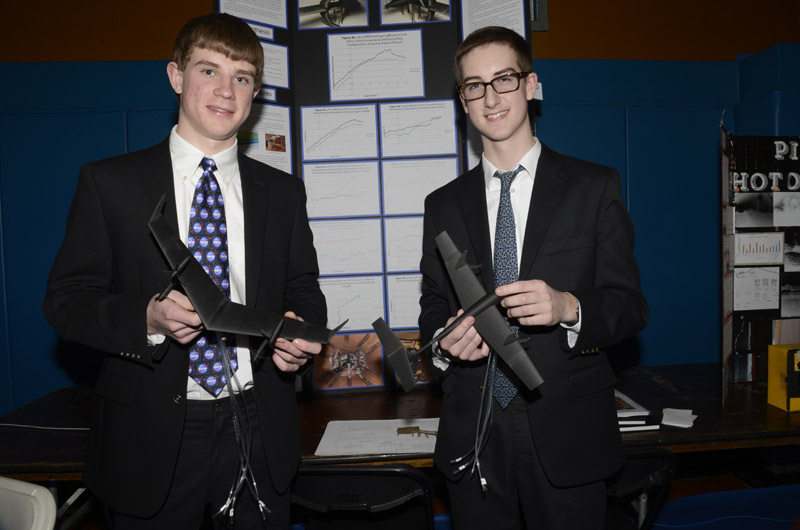 A first place went to junior Charlie Fenske of Edgartown and senior Theo Guerin of Falmouth for their analysis of airborne wind energy systems to enhance electrical output. This project will advance to the International Science and Engineering Fair held later this spring in Los Angeles. The two students will be the Massachusetts State Science and Engineering representatives. Vineyarder Charlie Fenske won first place at the Falmouth Academy Science and Engineering Fair. Falmouth Academy has appointed Matthew Green as the next head of school.